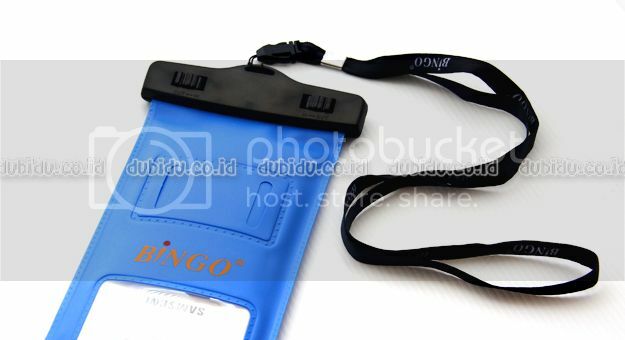 Bingo Waterproof Bag for Smartphone 5.5 Inch adalah casing yang didesain khusus dengan seal waterproof technology, case ini didesain untuk keperluan aktivitas outdoor ataupun adventure anda. Dengan ketahanan air hingga 20M anda dapat membawa smartphones Anda saat berenang, snorkeling, hiking, caving, namun tidak dianjurkan untuk scuba diving. 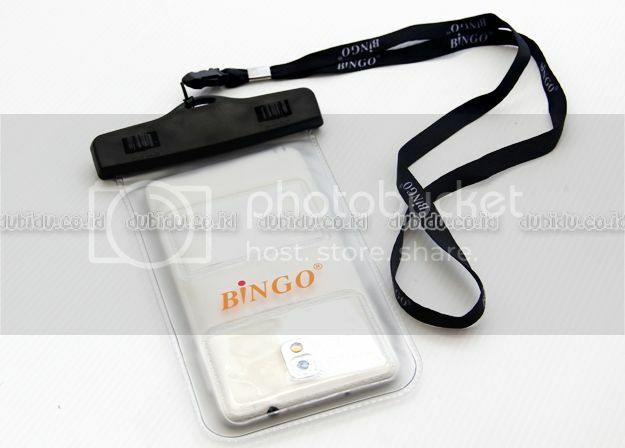 BINGO universal waterproof Case for large Smartphones with diagonal up to 5.5". 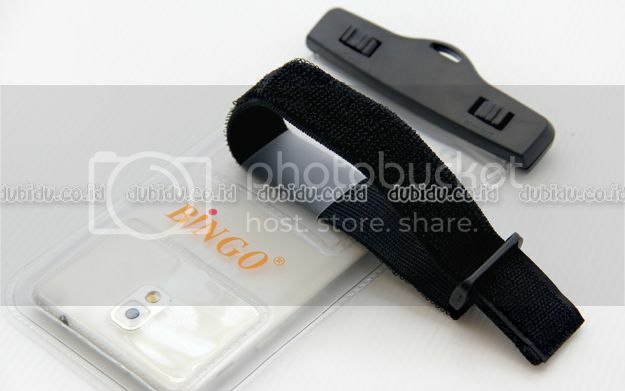 The BINGO waterproof case is IPX8 Certified to 20 Meters. 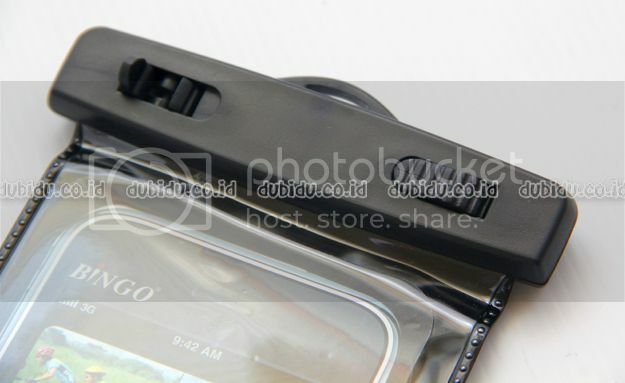 With a secure "Snap Lock System". 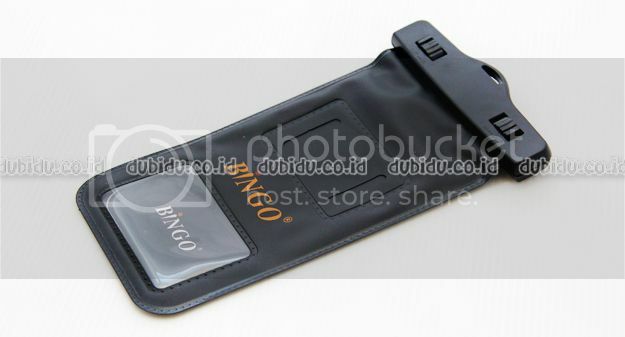 It allows you to submerge your device up to 100 feet deep without worrying about water damage. 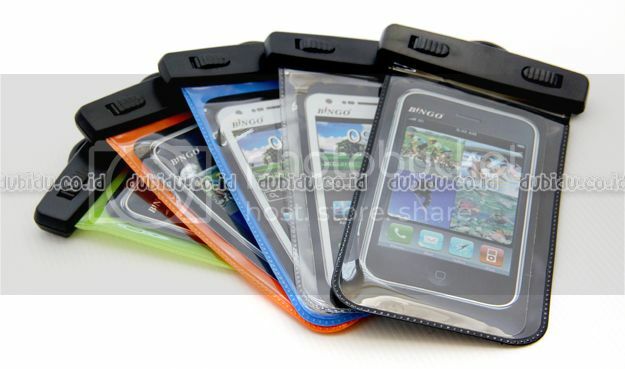 The case features crystal clear window on both sides, allowing you to take pictures or videos. You can check your emails and all other touch screen functions whether you are swimming, fishing, boating, or having water funs. 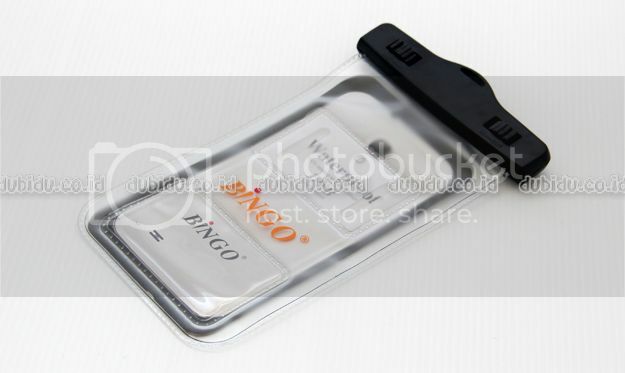 Fits the following devices (and any other device with a 5.5" diagonal or smaller): Samsung Galaxy S5 S4 S3 ; Samsung Note 3 / 2 / 1 ; iPhone 5 5S 5C 4S 4 ; iPhone 6 4.7" ; iPod Touch ; LG G2 G3 ; HTC One M8, M7, Max ; Nexus 5, 4 ; Sony Z1, Z2 ; Nokia Lumia 520, 630, 930 ; BlackBerry Z10, Z3, Z30 ; Motorola MOTO X, MOTO G, E ; Innovative swivel lock design provides a user friendly experience when opening or sealing the pouch.